This versatile clock is finished in a satin sliver and can be wall mounted or use the built-in foldable easel stand to display on a table top. Large, 1.75" tall numbers display the time in 12- or 24-hour format. 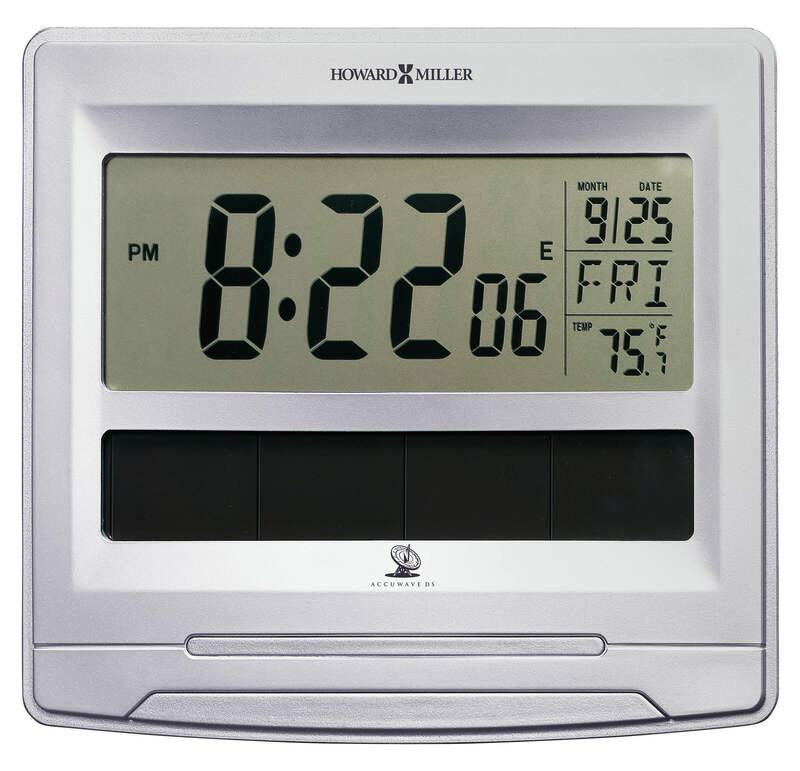 The display also shows the day of week, month, date, and indoor temperature in °F or °C. 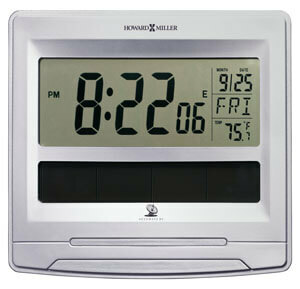 You will save $15.60 (30 %) on this Howard Miller Solar Tech 625-608.